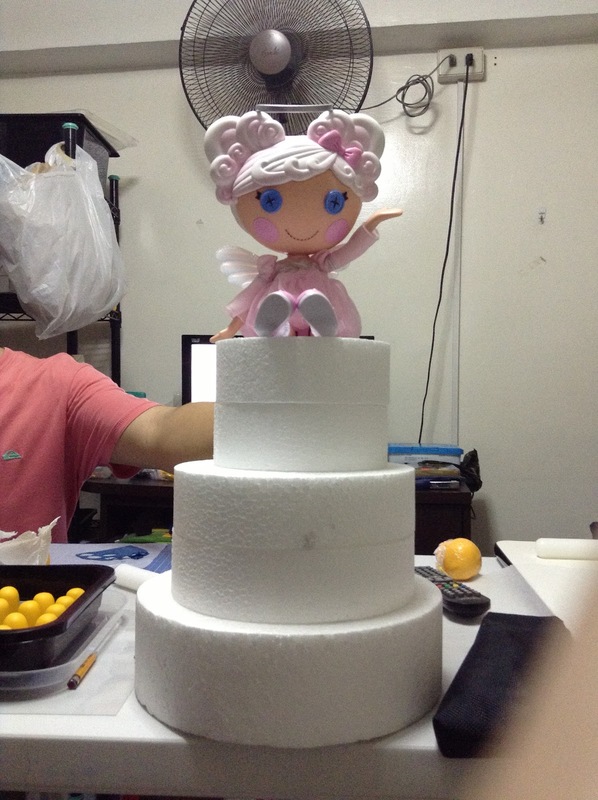 I want my little angel's cake to be perfect so I contacted Cats Del Rosario of Tazzy Cakes to do the job. I was not disappointed because everybody loved her design and her cupcakes. I took home the entire cake, of course! I was so happy when I found the elusive Lalaloopsy doll, Cloud E. Sky, it was the last one available so I bought it right way. I used it as a cake topper. It really goes well with the cake that Cats designed. There were some last minute changes because of proportion issues. Instead of just two layers, I got three! 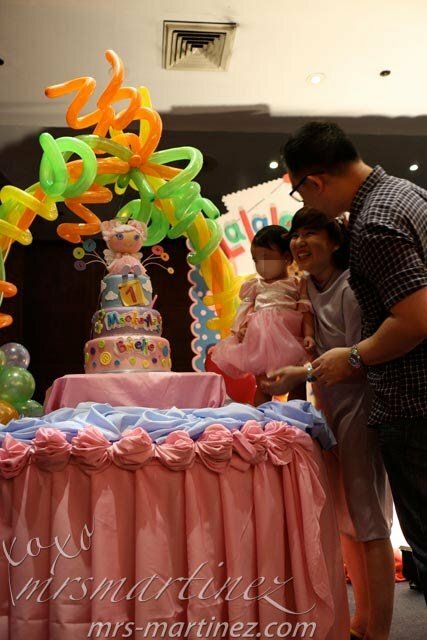 We had to adjust the diameter of the cake though from 8" and 12" to 6", 8" and 10". The height remained the same at 6" except for the middle layer which is the edible one at 4". I love how Cats made the name of my daughter stood out. The letters were embossed and they were very colorful. 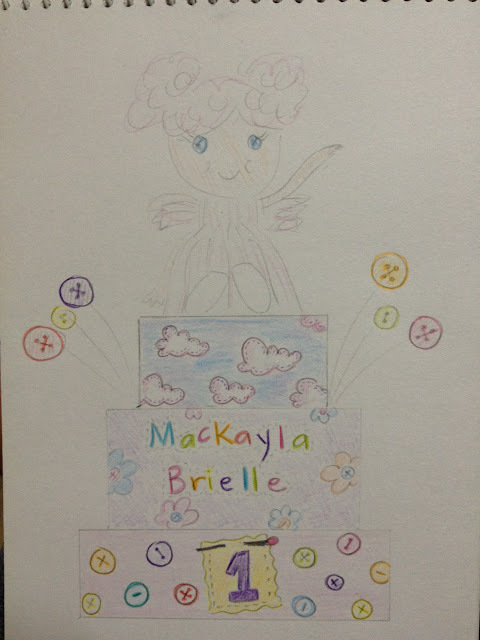 It included all the colors I specified (same as the colors of the balloon decor). 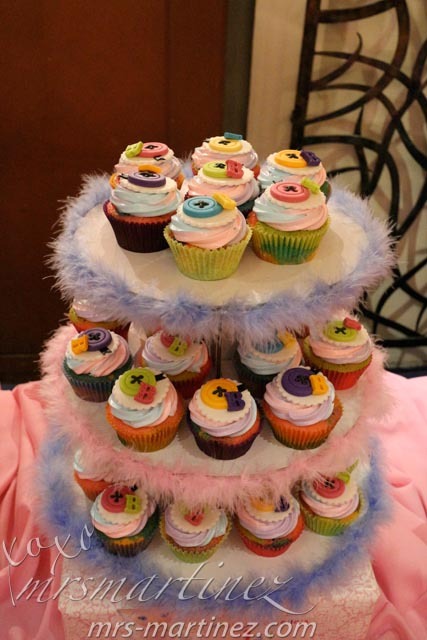 Instead of having just a simple monogram cupcake, I think Cats got carried away with the design of the rainbow cupcake. 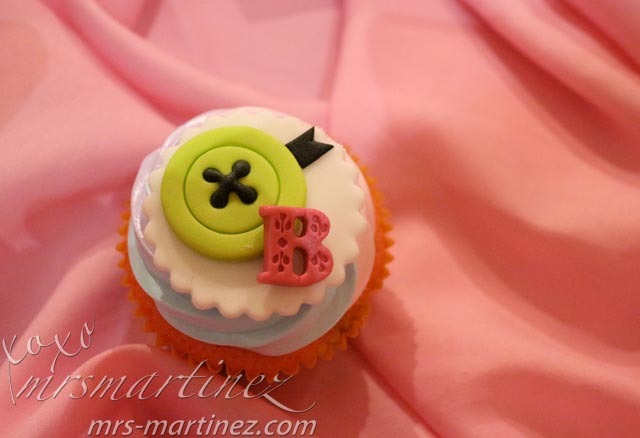 She included a button beside the letter B with pink, blue and purple icing. Who am I to complain? BTW, I was soo happy with the cake lol While others were hesitant to cut the cake because the design was so cute, I took the knife out because I can't wait to taste it lol Inside was a super moist and rich chocolate cake... yummy! 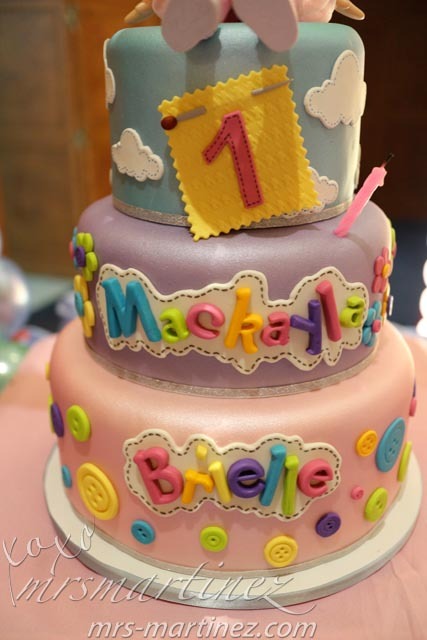 I can't wait for #babyMartinez's 2nd birthday so I can order another cake from Tazzy Cakes! 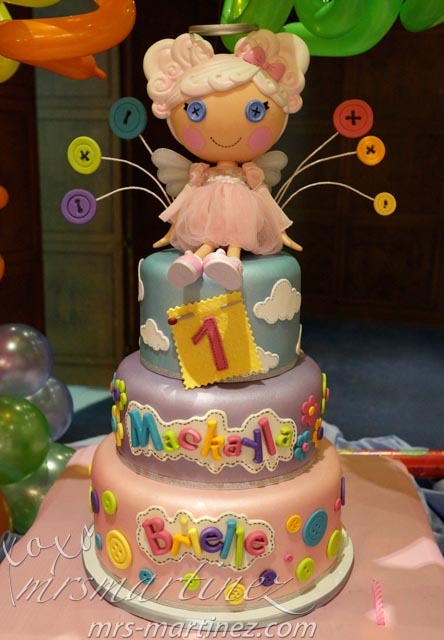 You can check out my other Lalaloopsy party suppliers here.